We installed a new sign in the existing back-lit outside sign box on the east wall of the building facing Seymour Street. 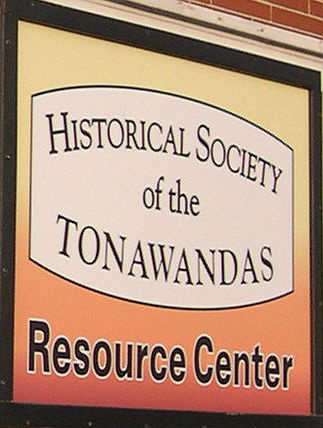 The new sign identifying the building as the Historical Society of the Tonawandas’ Resource Center features a striking colored rendition of our logo. If you haven’t seen it yet, be sure to take a drive by – both during the daytime and at night. Designed by member Frank Mariani.